Top Row 1. Ronnie Cuthbert 2. March 2008, GlescaPal Ian Torrance, Glasgow, sent me this class photo. 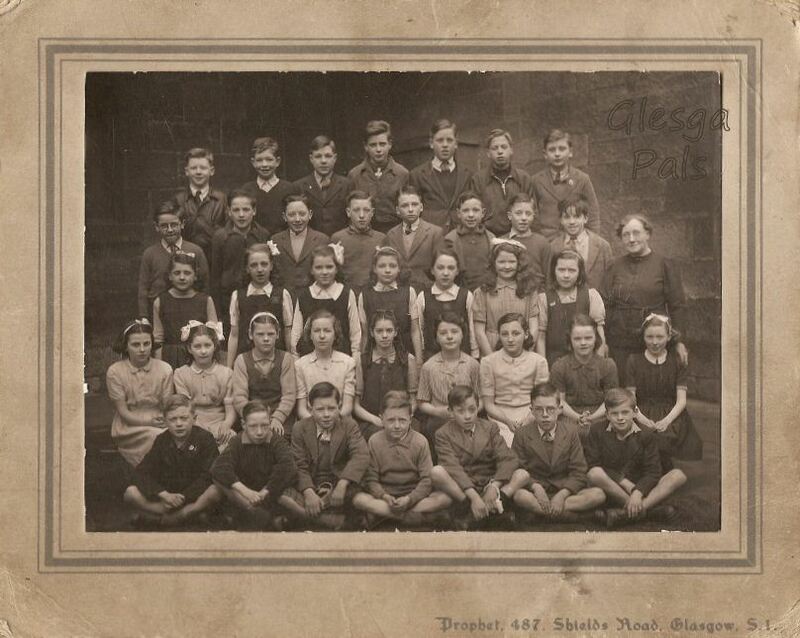 June 2009, Hi there.The boy third from the left in the front is John (Jackie ) Hoey in the 1945-46 Thomson St photo. Regards, James Hoey.